A full day of horseback riding. This is a tour for medium to well experienced riders. The tour duration is approximatily 5,5 hours and 5 hours in the saddle. 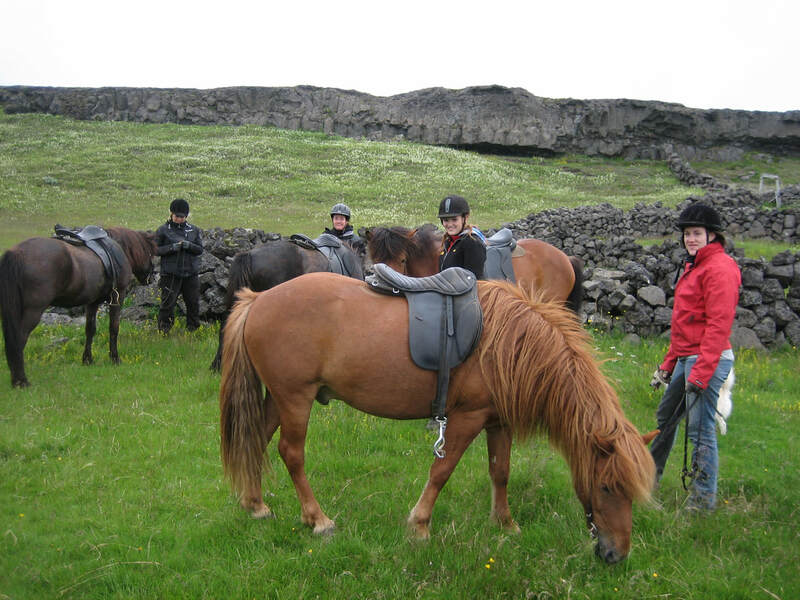 Included in this tour is an Icelandic horse chosen for each individual, riding helmets for everyone and a friendly guide. It is good a good idea to bring comfortable clothes. Heill dagur á baki. Þessi reiðtúr hentar miðlungs eða vel færum knöpum. Lengd reiðtúrsins er um það bil 5 og hálf klukkustund, þar af 5 klukkustundir á baki. Sérvaldir hestar fyrir hvern og einn þátttakanda, reiðhjálmar og vingjarnlegur leiðsögumaður. Æskilegt er að hafa þægilegan fatnað meðferðis.